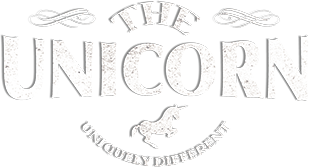 UnicornThesaurus began life in 2014 as nothing more than a personal blog, set up purely to give me a public outlet for my more creative writing. I shared my thoughts on the various topics that interested me, posted my personal work, short stories and various other creative writing projects. The blog is still on the site if you want to poke around my mind and get a taste for my style of writing, however, it’s no longer the primary focus. Since 2014 my professional writing career has taken off and it was time for ‘the unicorn’ to evolve into a fully-fledged freelance writing service. Going from the personal to the professional UnicornThesaurus offers unique digital PR and content creation to clients from all walks of life. You’re probably thinking UnicornThesaurus is a pretty unusual name choice for a freelance writing service, and you’d be right — it’s pretty unique, but that’s like the service I provide! The name came in a moment of clarity (clarity for writers is a very different thing than clarity for more normal folk); where a mixture of my love of dinosaurs collided with my admiration for a good pun (“What do you call a dinosaur with an extensive vocabulary?… A Thesaurus! ), from the Big Bang of my Jurassic lark (see, puns, love ‘em) combined with the fact that I refer to my wife as ‘The Unicorn’ – UnicornThesaurus was born. It was later pointed out to me that if you look up ‘unicorn’ in a thesaurus you find no results, meaning the word is unique — making UnicornThesaurus an even more poignant name for a freelance writing service… If only I’d known! My accidental cleverness/inherent love of the silly does, however, represent the service that I deliver; a unique and fun voice that will put an injection of energy into your marketing. Unicorns are real, we’re just hard to find.